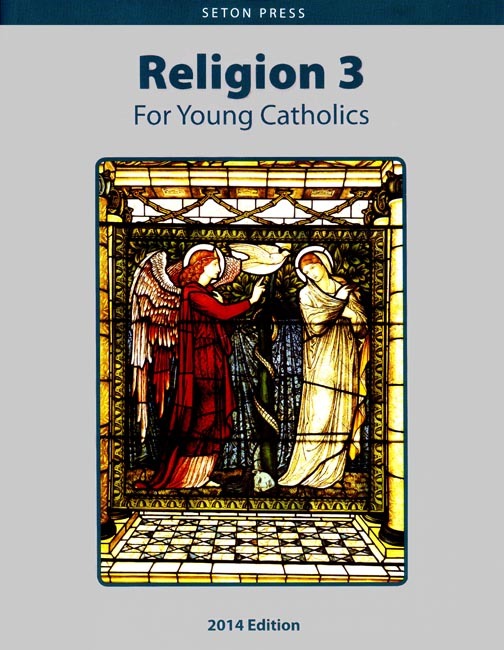 I like that Seton’s religion program is concise while providing a solid Catholic foundation. 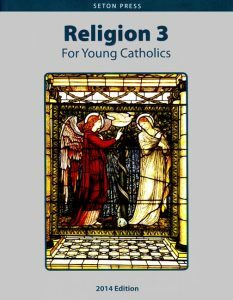 It has also helped us memorize our catechism and improved the girls’ reading. We are also using the Virtues in Practice program from the Dominican Sisters of St. Celia. It’s a free program that focuses on a different virtue and saint each month. It helps us easily learn about saints and holy virtues. 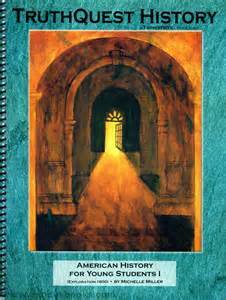 We are doing the third grade literature study from Memoria Press. 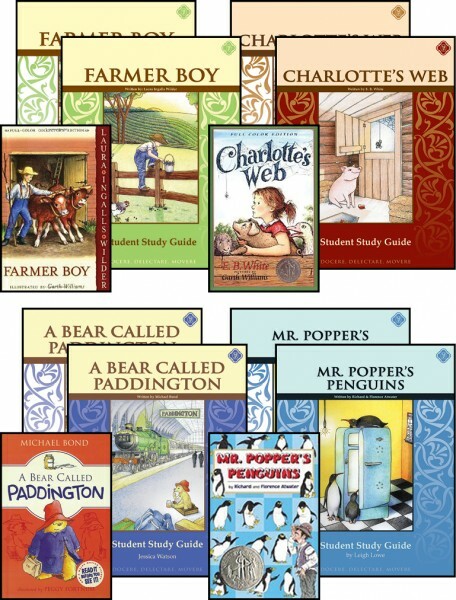 The novels include Mr. Popper’s Penguins, A Bear Called Paddington, and Charlotte’s Web. I’m replacing Farmer’s Boy with The Courage of Sarah Noble since we haven’t started the Little House on the Prairie series yet and The Courage of Sarah Noble fits with our Social Studies curriculum. Our current schedule has us finishing the novels before our year is over so we will either enjoy books of the girls’ choosing, continue our Shakespeare studies from last year, or jump into the Little House on the Prairie series. We’ll figure that out when we get there. 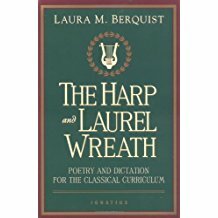 A lot of our curriculum choices are inspired by the classical program put forth by Laura Berquist so it makes sense that for poetry we use her anthology. Each morning we read and practice our poem until eventually the girls have memorized it. After reciting their poem correctly for their grandparents, we move on to another one, usually completing a poem a month. 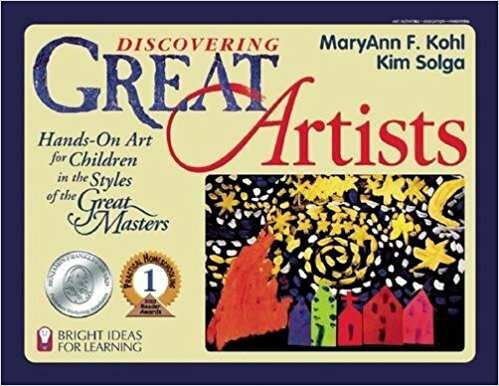 During the course of their memorizing, we also have many discussions about the poem, read other books connected to it, and complete a coloring sheet. This is one part of our homeschooling that has surprised me by all the benefits and joys it has provided us. 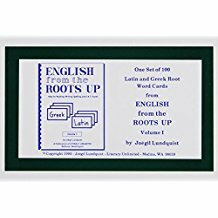 Also based on Laura Berquist’s curriculum, we are using English From the Roots Up flashcards this year to introduce the Latin and Greek root words so that when they officially begin studying Latin next year it will be easier. Each week we add three new cards that we then review daily and regularly I’m giving them a quick, cumulative quiz. So far the girls are loving this–learning a different language and getting to play with words. I was surprised that they consider Latin to be one of their favorite subjects. Easy Grammar really is just that, easy. 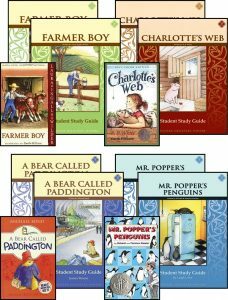 We do about a page a day. 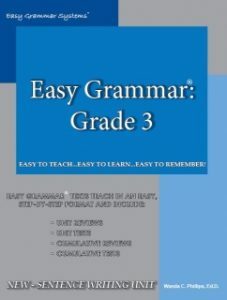 The lessons include good explanations and enough practice without overdoing it or giving busy work. I especially like that it starts with prepositions and prepositional phrases before identifying the subject and verbs. Makes it so much easier and will make diagramming sentences easier in the future. This year we aren’t really using a formal writing curriculum but working on simply writing regularly. 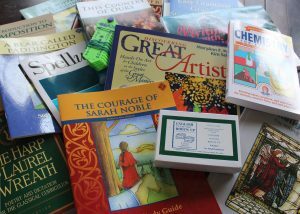 While we have some materials from the teaching supply store, I’ve also purchased a few things from Teachers Pay Teachers and will be occasionally supplementing with Memoria Press’s Introduction to Composition book which parallels our reading program. I’m trying for as many authentic writing experiences as possible, trying to connect our writing to what we are studying or experiencing in life in order to make it more meaningful. We aren’t just doing formal writing assignments, but writing letters, journaling, and creating stories. At this age, I want the girls to like writing and to develop into strong writers. So our goals for the year is for them to enjoy writing and to be able to write clear, well written paragraphs. 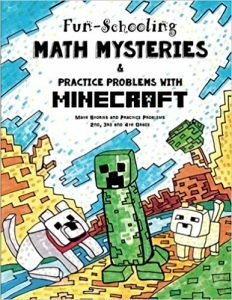 Math is another subject where we don’t have a clear cut curriculum this year. We are taking a strong mastery approach. While the girls haven’t struggled with math concepts, they have struggled to memorize their math facts. I know this is going to continue to hold them back. They were also getting frustrated and hating math. So we have taken a step back from an organized curriculum to focus on learning all of our math facts. We are using Xtra Math daily which does a great job quizzing the kids on their math facts. 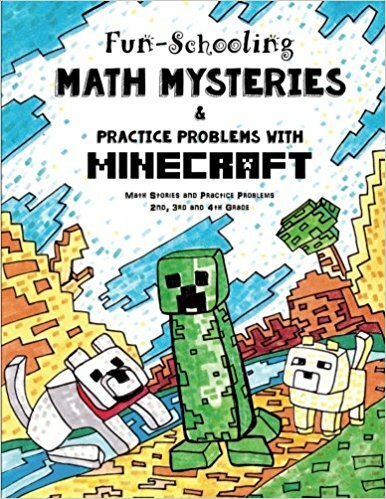 We are also using our Math Wrap-Ups (but if you get these be sure you get the set with the CDs; if you don’t have the music they don’t really work), worksheets from education.com, and fun resources such as Fun-Schooling Math Mysteries and Practice Problems with Minecraft. We started all the way back with our addition facts and will move through subtraction, multiplication, and division with fractions and balancing equations along the way. By the end the girls will have mastered their math facts and will be truly ready to move on to higher level concepts. We’ve already seen improvements but the best one so far has been that they are enjoying math again and regaining their confidence. This was a hard decision for us to make (math was the one subject I said I would always need a formal curriculum for) but this is one of the many reasons why we homeschool–to meet our children’s own needs. 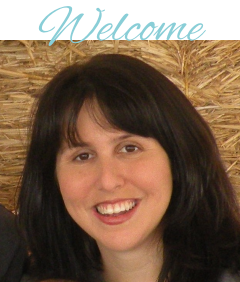 In addition to Laura Berquist’s book and approach, our homeschool is strongly influence by The Well-Trained Mind. One thing I like about the classical approach is focusing on a different branch of science each year. Instead of spiraling and covering the same topics every year, we rotate through Biology, Earth Science/Astronomy, Chemistry, and Physics on a four year track. 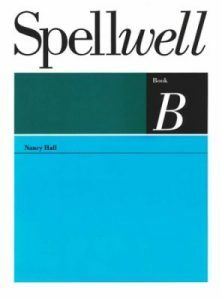 While I like what Susan Wise Bauer describes in The Well-Trained Mind, I didn’t quite like how she approached it and wanted more structure as well as more diversity in activities. 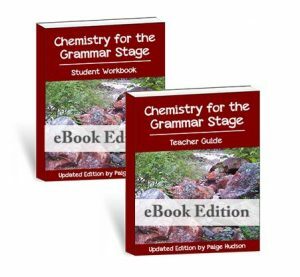 Elemental Science uses the yearly structured I wanted. It also uses real books as opposed to a text and includes lapbooking and has easy hands on experiments for every week. Basically, Elemental Science program has everything I want in a science program. Truthquest is basically my Social Studies equivalent to Elemental Science. 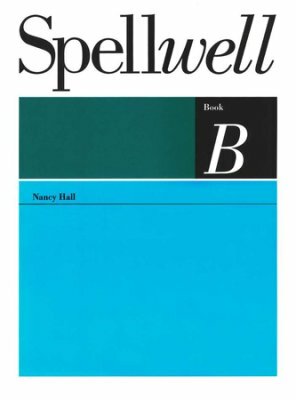 While it offers suggestions for a spine the program is also based on real books. 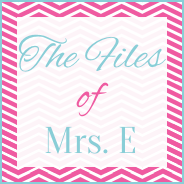 For the most part it is a list of topics with book suggestions. It also includes lapbooks, writing assignments, timelines, maps, and coloring sheets. And most importantly it makes history fun. What I also really like is that it starts with American history and it is so hard to find a classical, hands on program for American History for the lower grades. So often the classical programs start with Ancient History which I think can be very confusing for young children–here is a totally different culture from a long time that includes a bunch of gods that we don’t believe in. The reason the Greeks used to study Greek history first is because it was their history and they started with what they knew so to me it’s silly for us following the classical model to start with the Greeks when what we really should start with is our own history and culture, like the Greeks did, building on the framework that children already have. This year we are trying a new spelling curriculum and so far so good. 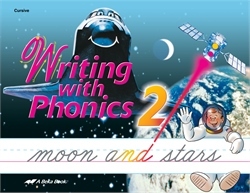 Spellwell is phonics based with each word list grouped according to a different rule or phonogram. What we like is that each list is only 10 words long but there with spaces for me to add words to each week’s list. I also like that the week starts with a pre-test so we can focus on the words they need to. The girls asked to learn cursive awhile back and it’s been great for them. While they are still working on perfecting their penmanship, learning cursive early helped them get their b’s and d’s straight. And while the curved lines and loops are easier for them than manuscript writing, it has helped their manuscript printing as well. Currently we are using our handwriting book from last year. In addition to the workbook, I have them write their final drafts in cursive but for everything else the girls can choose what style they want to use. We are also using our Draw Write Now books every so often as further practice for handwriting, drawing, and our fine motor skills. In the past we’ve just done art projects throughout the year. While this was great when the kids were younger, it’s been really hit or miss so this year I wanted a more structured approach. But not too structured that it took out the fun of art at this age. We are doing an artist/project a week and just moving chronologically through the book. It is exposing our entire family to a wide variety of artists and different techniques. We tend to already have the materials on hand and the projects are fun. So that’s what we are using with the girls. We are also doing sewing and nature study but those don’t really have a curriculum. And of course we also have our little man doing tot school but I’ll be sharing that along the way. 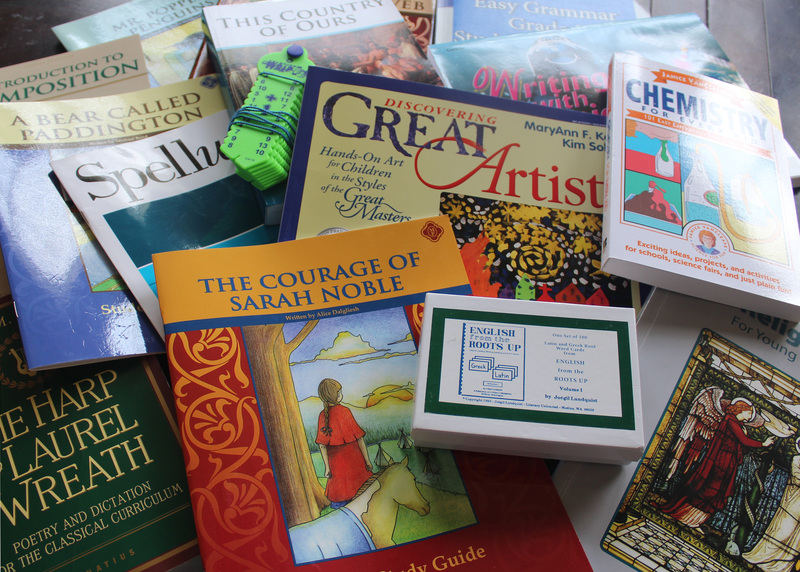 For my homeschoolers, what curriculum are you using this year or what do you love?